The company has carved a niche as one of the reliable Manufacturers, Exporters and Suppliers of Geotextile in India. 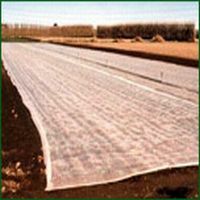 We offer a wide range of Geotextile which includes Crop Covers, Turf Protections, Nursery Over Wintering, Weed Control Fabrics, etc. These Geotextile can be used as a covering material for garden, protective material from agriculture vermin, heavy rain, hall rain, overheating. 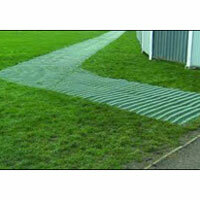 We make use of special grade polypropylene for manufacturing the Geotextile. Further, we offer these Geotextile in different specifications, as per the requirements of the clients. Our spun bonded crop covers help protect your crops from insects, wind, rain and (using our optional lightweight version) burning sun. The list of useful benefits from these crop covers include capturing heat on sunny days; retaining heat radiating from the ground at night; protecting plants from cold snaps; reducing occurrences of aphids, root maggots and flea beetles; helping to deter birds and deer from decimating crops through camouflage and helping to extend the growing season into late fall. 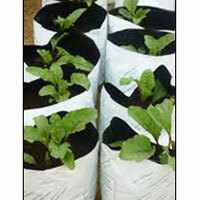 We offer our customers an excellent quality range of Weed Mats. Weed control fabric is designed to restrict weed growth. The durable, woven fabric is manufactured using the highest U. V. Resistant polypropylene available. 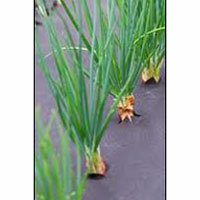 The woven design allows both air and water to drain, reducing the risk of standing water puddles and root rot.